Asus, the world famous computer brand now plan to launch Intel powered Tablet named FonePad (model: ME371MG). The device will officially announce at the forthcoming Mobile World Congress (MWC) 2013. The tablet comes with a 7 inches TFT LCD multi touch IPS display with 1280 x 800 resolutions. the Tablet runs Google's latest Androd 4.1.2 Jelly Bean operating system. 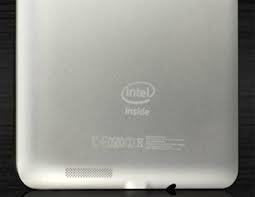 Intel provides the processor interface which is 1.2GHz Atom Z2420 with PowerVR SGX540 graphics. Asus FonePad also provides 1GB of RAM and 16GB of internal storage. There is no information about the expandable memory options like SD card slot etc. the tablet made by an aluminium body; it enables a strong body features and easy handle options. There are two digital shooters on the device. The main camera has 3.2Mega Pixels capture quality on the rear and the secondary camera has 1.2 mega pixels on the front-panel for video calling. Asus FonePad tablet carries an inbuilt battery which is a standard 4,270 mAh Li-Ion. The battery power enables 9.5 hours of uninterrupted usage. 3G, Wi-Fi, Bluetooth, A-GPS FM stereo with recording and 3.5 mm audio jack are the main attractions. Earlier, the Company released an Intel powered smart Tab named Google Nexus 7 tablet. Now the Nexus 7 is one of the great success of our industry.